When I was but a wee munchkin my mom took me to a Greek festival. They were dancing or something, I really don't remember. I was really tiny. Anyways, according to her I ran over to them and started dancing with them. Since I was a cute little kid, they put me on their shoulders and kept dancing and it was really cute. Apparently there are a lot of stories of me taking over the show lol. Greek festival, my step sisters wedding, etc. I fell on one of those wooden learning blocks when I was around 4 years old and it was lodged in my head and I wouldn't let anyone come near me. I still have a faint scar on my forehead. Kinda like the time I was on a trampoline and went flying down a hill. Less damage though, but there was the time I was playing dodgeball at spring break camp and sprained my finger. I had to tie two fingers together for ages to get it better. I used to kick guys in the nuts simply because they were male and I could because I was a superior female and they couldn't hit me back. Oh man I also tried to make my friends smooch me when we had sleep overs. God, I was never straight. one time me and my friend were having a shower together and i started humming the pokemon centre thing and she goes 'goddamnit roisin just wash' ... pfft. Then we proceeded to dry our hair under the hand dryers because we didn't have enough money to use the hair dryers ... 50p? aw hell naw! 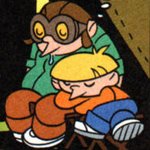 heres a knd related one. 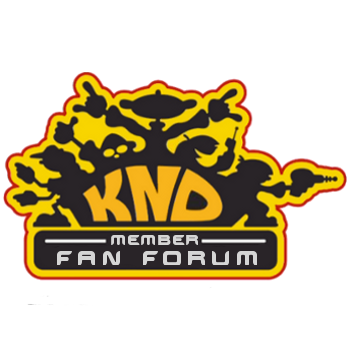 in february 2008, knd had ended. 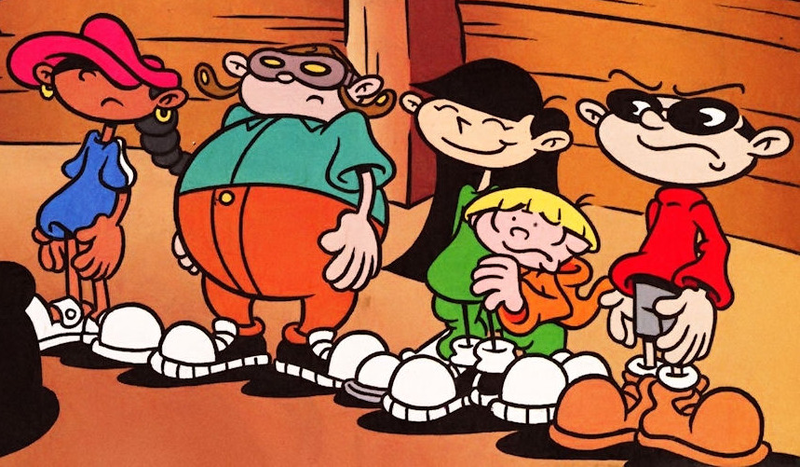 me and my friends decided to make our own knd, though we had numbuhs 1-7. in our neighborhood, we had three bases. one was my shed, the other a friends garage and lastly this other kids trerhouse. for weapons we had water guns, paintball guns and water balloons. for reasons im not fully aware of, we declared war on this random group of girls in the neighborhood. we didn't know their names, so we called them the "cissys." the only time they came out was to walk their dog called rascal, and we randomly used to soak them. one day, they got really cheesed off, and their parents came out. it was clear they were gonna try and take us home (ormeau road is big-google it) so we engaged their parents. they began to chase us, so we fell back to a place called ormeau park, which is a huge suburban sprawl, and for two hours we did guerilla warfare in the forests. eventually they went and got the park people so some of us escaped and three of my friends were caught. there parents were called to come and get them, but we had to walk 2 miles up the road to our street/area. its safe to say we were put on hiatus after that. Favourite ships: The STARWRECK. Oh, that's not what you meant, is it? Okay, the SUBSTANDARD! Uh... well, when I was a kid, I had plans to be against the KND. I was pretty rule-abiding, you know? One of us, I can't exactly remember if it was me or my brother, wanted to have his gimmick be that he turns off the power so you can't play video games or watch TV. I took the concept and turned it into my interpretation of Bright Idea, as seen in DOLL. Beware of occasional bad attitude. Visit my deviantART page. I've got all my fics on there. Updated yearly.